Online shopping is fraught with peril. Doubts flood our minds when clicking 'purchase' on an order. Will the quality be decent? Will this look anything like it does on the model? Will it be delivered before my 56th birthday? You can dispel these fears entirely when shopping on the site that I am here to tell you about today: the wonder that is everything5pounds.com. Before I placed my first order with everything5pounds.com, I too was a sceptic. 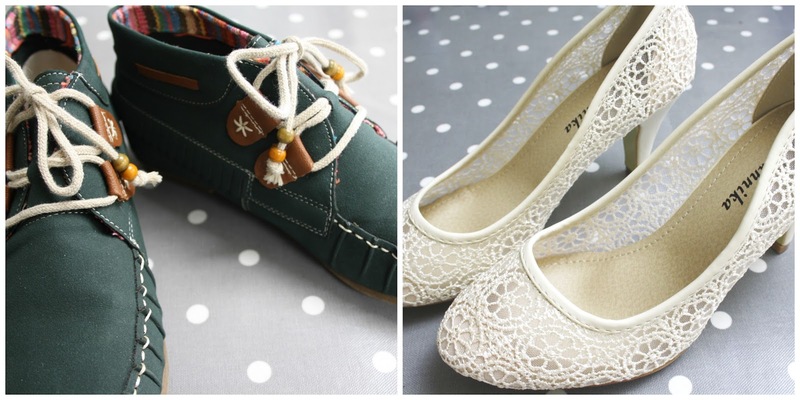 High quality clothes, shoes, bags, and accessories for just a fiver each? You must be having a laugh. I half-expected to be writing an awful review when my products turned up. How wrong I was! Scroll down to find out what I ordered and what I thought. Outfit 1: Bring on the fringe! 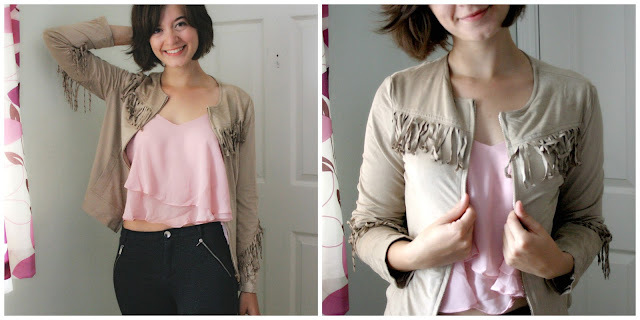 The first thing I pulled out of my box of goodies from everything5pounds was this gorgeous fringe detail suadette jacket. The jacket is lightweight and super soft, perfect for a summer / autumn transitional piece. The fringing gives it a really unique vibe. The jacket is definitely something that you could dress up, with a patterned dress, or down, as I have here with a pink cropped cami (also from everything5pounds), and dark jeans. The camisole is also of impressive quality; it is fully lined, floaty and glamorous! 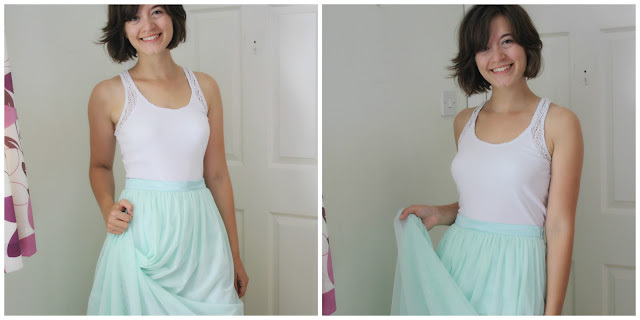 I just couldn't resist picking up this stunning full-length maxi skirt! The pastel colour is just beautiful, exactly as it appears on the website! The skirt is finished with some really classy details such as the ribbon-effect waistband and the side-zip and button which fasten the item around the waist. This is a very romantic piece that would be perfect as part of a formal date outfit. You'll be the envy of all your friends in this glorious green skater dress! I was delighted with the fit of this item. The tie at the waist allows the dress to adjust to your shape perfectly, and the bell-sleeves add a super elegant touch. 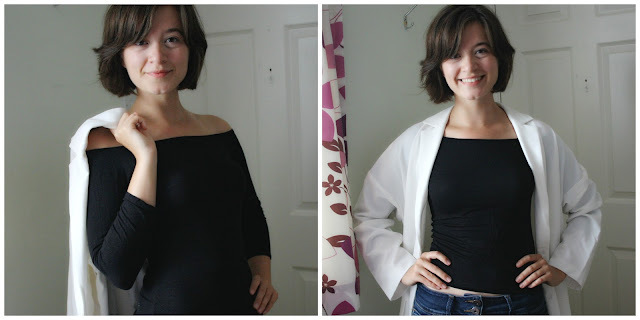 The deep V neck is very flattering without revealing too much! I would definitely wear this with heels and a light jacket on a night out, or with cable-knit tights and ankle boots during the day. Here I have paired it with a lovely satchel from everything5pounds' accessory range. 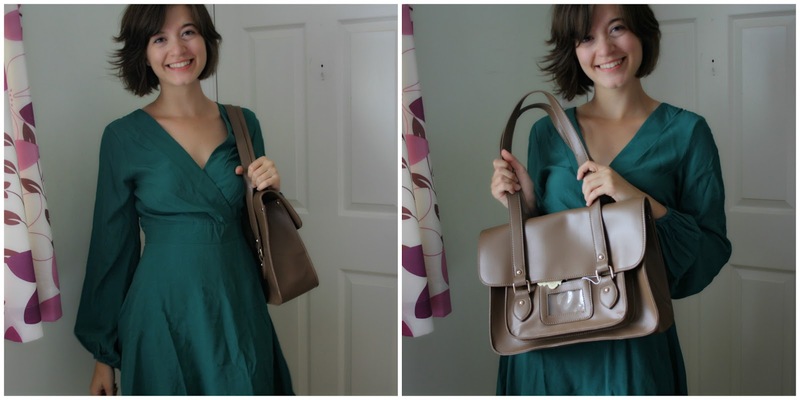 As with all of the other items, the satchel is very high quality and super stylish to boot! I've been lusting after a long maxi-coat for such a long time now! I was delighted with this find from everything5pounds. The coat hits just below my knee and is a striking off-white colour. It came up larger than expected, so I wish that I had sized down, but for £5 you really can't complain! I paired mine with a simple off-the shoulder top and a pair of jeans. It is a lightweight coat, more suited to autumn than winter weather, but its versatility will definitely mean that I wear it a lot throughout the season! I may have gone a tiny bit crazy on the shoe section of the everything5pounds website - their selection is very impressive! I was really pleased with all of the shoes that I picked out; each pair is true to size, well-made, excellent quality, and comfortable to wear. 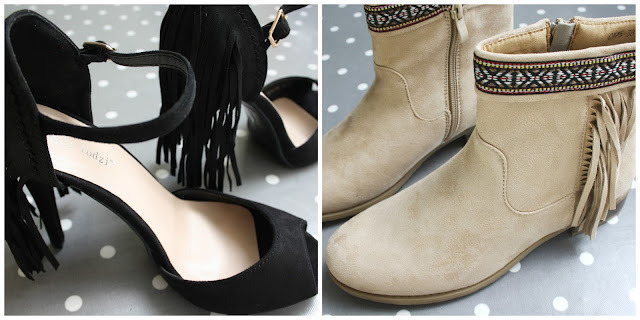 The boots will be perfect with my autumn / winter wardrobe and the heels are ideal for parties or nights out. The fringed black heels are my absolute favourites! A word has to be said about the delivery and customer service from everything5pounds. My items were delivered in record time - they arrived at my door just a couple days after ordering. Unfortunately one of the items that I was sent turned out to be faulty, but the company's customer service after I reported the problem was fantastic. They responded promptly and were very apologetic, promising to investigate the issue I experienced. They immediately dispatched some replacements for my faulty item. Overall, my experience with everything5pounds was overwhelmingly positive and I will definitely shop with them in future. What is your favourite item from this lookbook? Share in the comments below! *The clothing featured in this post was sent to me for free by everything5pounds in exchange for a review.